We welcome new members (singles or couples) or visitors with an interest in dancing. Our aim is to promote the dances from the 17th century to the present day that are generally included in the term 'Folk Dances'. These may be the 'Playford' dances, those by Pat Shaw, American style contras etc. If you have been to a barn dance or ceilidh you will have a good idea of what we do but at a club such as ours the range and style of dances encountered is much wider, but just as much fun. Regular club evenings are held throughout the year on Tuesday evenings. We also organise two Saturday dances each year. We hold a Playford Ball annually at which dancers are encouraged to wear costume in the style of the late 17th to early 18th Century (but it's not compulsory!). 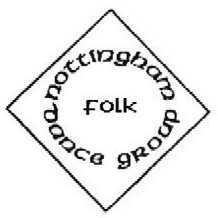 We have a few students from the University of Nottingham who come along and dance with us. Some members who live near the University can offer transport. If you would like to join them please contact us for details. The same goes for any other students in the Nottingham area! Check out our Facebook Page or follow us on Twitter.